Mead Johnson Nutrition is launching its first content campaign for its Enspire baby formula brand through a partnership with XO Group's The Bump (a website for new and expecting moms) and Mediavest | Spark. The Publicis-owned agency helped guide all creative aspects while The Bump played a significant role in helping to produce the content. The "Enspired Beginnings" stories feature advice from real moms and experts about bottle-feeding babies. One mom, for instance, details her emotional story about adopting her daughter Callie. The series content lives on a custom hub on the Bump website that is further distributed via native distribution partners, social media, and through the Enspire website. 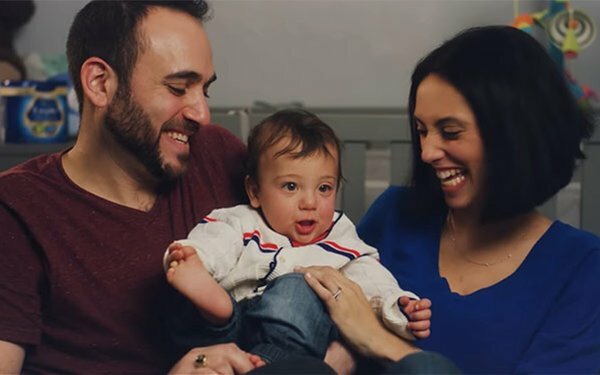 "We understand that there is a learning curve for new parents, and we want to build a stronger emotional connection with consumers by sharing the stories of these four families and how Enspire has had an impact on their lives," says Sari Winick, VP, U.S. marketing, Mead Johnson Nutrition. "The initial response has been very positive." In addition to positive word-of-mouth, the campaign will be measured with various surveys and studies that analyze engagement and brand perception. “This type of multi-faceted campaign is designed to challenge traditional models and demonstrate our increasing evolution into a creative media agency,” says Eric Levin, chief creative officer, Mediavest | Spark. "Our goal in creating this branded content series was to empower our audience of first-time moms as they navigate motherhood and bring personal stories and the decisions families make about raising their baby to life," says Anthony Napolitano, VP sales, The Bump. This partnership was unveiled in the wake of February's announcement that Reckitt Benckiser will purchase Mead Johnson for $16.6 billion.